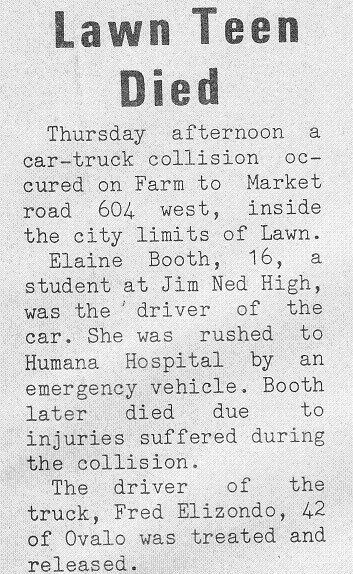 Elaine Alma Booth, born May 3, 1971 died October 15, 1987 in an automobile accident. 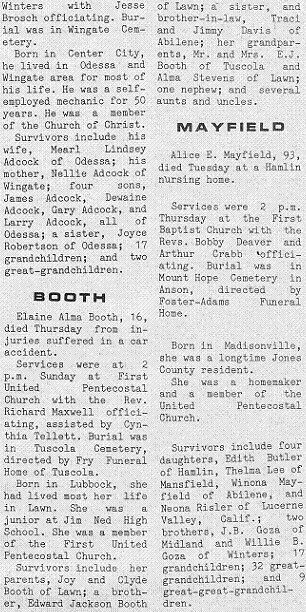 Elaine's goal in life was to be a witness to those who didn't know the Lord. "She was a very special person"
"Not too many teenagers would be able to withstand the peer pressure put upon them, but Elaine did." 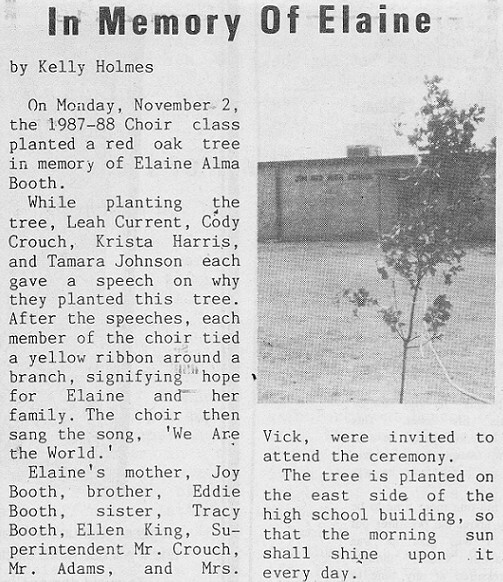 "She seemed to think of others before she thought about herself"
"No one will forget what Elaine stood up for"
"And Enoch walked with God: and he was not; for God took him"
In memory of Elaine, the choir planted a red oak tree on the east side of the old High School in 1987. 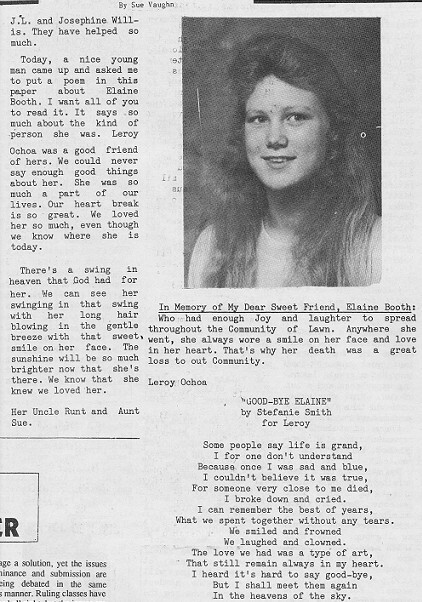 Elaine, I had always loved you more than any other and I thank God for having a sibling such as you. You were the best person I knew and God must only allow angels to suffer so long on earth before he decides to bring them home because you were truly an angel...an absolute ANGEL. I will miss you until my dying breath.